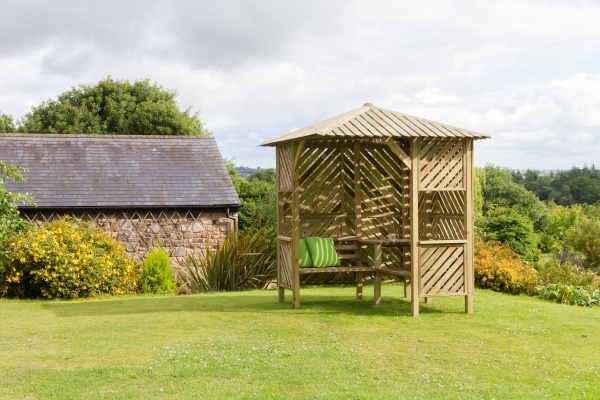 The Brighton Corner Arbour is an ideal product when thinking of entertaining family and friends. Complete with a fixed corner table big enough for drinks and a bite to eat. The slatted roof gives shade or shelter and the open panels on both sides make it feel airy and bright.